Did you know that starting a subscription box can be broken down into a FOUR step process? Seriously – it’s that easy! So you’ve got an idea – you want to start a subscription box service. Now what? Where do I find products? How do I get started? Will people even be interested? Don’t worry, we’ve got ya covered. Keep reading (and peep the video) to find out from two successful lady bosses: Jessica Principe, Owner and Founder of All GIrls Shave Club and Julie Ball Founder and Chief Sparkler of Sparkle Hustle Grow. The Subscription Box industry is BOOMING right now. Everywhere you turn there is another subscription box service around the corner. Come up with an idea that sets you apart from the rest. Decide on what kind of service you want to provide and then niche down. Your box will serve a specific, target audience and that audience will feel like you made the box specifically for them. Put together a landing page with a description of what your box is about and what people can expect if they subscribe to your box. You could also make a video or use pictures to promote your box. The main call to action on this page is for potential customers to enter their email. Once people have entered their email, nurture them. When you nurture your emails, you’re essentially priming your target audience for the launch of your subscription service. The products you put in your prototype box DOES NOT have to be the final product – put in brands that are the type of products you want, the type of brands you want, so that your audience will get an idea of what is coming (PS – it’s as simple as going to target, or to stores around you that sells the type of products you want to sell). 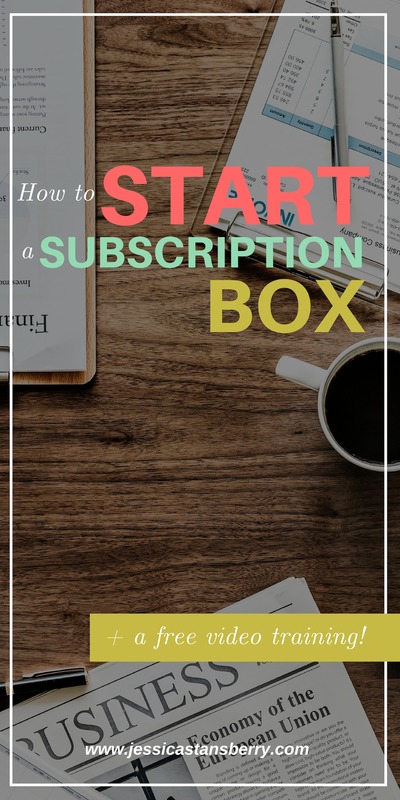 The task of starting a subscription box service seems daunting and scary and like there would be tons of things that you have to decide before even getting to the prototype. But that’s just not the case. I hope that with the help of Jessica and Julie, that you are ready to begin the – not so scary – process of starting a subscription box.